The Gaosu Shenzhou Hotel is an ideal spot for travelers wanting to discover the city. This property features Free in-room Wi-Fi. 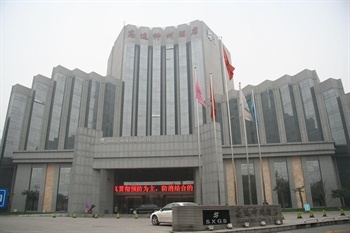 Boasting a convenient location, the hotel is just 4km from Xi'an Railway Station and 39km from Xianyang International Airport. The hotel is just 4km from Hui People Street and 5km from Shanxi History Museum, making it an ideal location for guests looking to do some sightseeing. After a long day of sightseeing, guests can retire to the comfort of the hotel. Airport pickup can be arranged by the hotel upon request. This Xi'an hotel provides parking on site.